Can I get a refund for previous years? There are a few steps you must take to initially pair your device to the website. If you already did the pairing on the app, some of these steps are still required, so just follow along. (these steps are intended to be as basic as possible will all pictures to help the technically challenged) :) If you run into trouble, please email support@avPerDiem.com and we'll not only help get you through it, but it should help us fine tune these instructions with other perspectives. Gives you web access to the purchased years from your avPerDiem app. Edit your perdiem information from the website and/or the device. Synchornize multiple devices to one account so you can edit data from more than one device or computer. Unlock additional and future tax years for use on your device. If you already have the avPerDiem app and paired with an email address, use the same email address during this registration. If you haven't paired the device already, disregard and continue. Once you register, check your spam folders to make sure you can find the registration email that has an unlock code to access the site. Clicking on that link will allow you to continue to step #2. 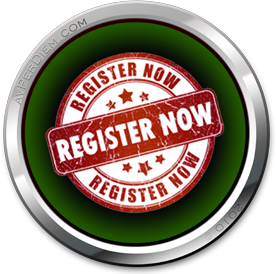 Log into the website with the credentials used for registration. If you are having trouble getting the registration email, please contact support@avPerDiem.com. What you are seeing is all the Associated and Paired devices. If you already have the avPerDiem app, you may see your app in the Associated devices otherwise it should look empty as above. Either way just continue with the instructions. Now from the device, using the app, select the More tab at the bottom, then the Online Account Pairing option as shown in the left image below. You should see the image in the right where you can enter your email address, the same one as used for signing up at avPerDiem.com. Select the Submit button and wait for the server to process the request. Once the server accepts the email address you will see image #4. Currently with v3.2 of the avPerDiem app, take special note of the image #4 below. Initially you will get a page without the blue popup message and an email indicating the pairing was successful. Some older devices running iOS v4.x are having problems with this pairing process. You must get the popup message saying the pairing was successful. It should pop-up in under 30 seconds. If it does not, you will need to contact support@avPerDiem.com to be manually activated for web access. There is no fix at this point for those older devices, but you can still use the web version of the app, just contact support so we can get you activated on the website. Once you get the blue popup, you can select the Entry tab at the bottom. If you are on the section of the Entry screen that shows the years to be selected, or the months, you should see the email address you paired with as shown in image #5. Once you select a month you will enter the page for entering data for that month as shown in image #8 below. You can now enter some or all of your overnights for the month. Keep in mind that as you enter airport codes, you will not see perdiem amounts until we select the Sync button to retrieve the values from the server. Once complete, select the Sync button as shown in image #8. (You must be connected to the internet for this to work, either cellular connection with data or WIFI) You will then see the progress page as shown in image #9 while the app contacts the server and the overnights are processed. This usually takes less than 5 seconds. Once the synchronization is complete you can select the Done button as shown above in Image #9. Now go back to the year page and select the 2012 year if you have entered data in 2012 to do the same Sync process. Once complete, you can now go back to the website and see your device as show below in image #10. If you left your browser open from previous steps, just click on the Devices link again and it will refresh the page to show something similar to image #10. As you can see above, after syncing both the 2011 and 2012 tax year, the website is now aware of the device because you entered the same email address in the app as you did during registration on the website. At this point it is only "Associated" with the website account meaning the data is stored separately and not in sync with the website master records. At this point we now have the option to Pair the device to the website master records for multi-device synchronization. Just select the Pair icon as shown above in image #10. Once you select the Pair option, you will get the following warning dialog. If you are coming from the avPerDiem app and have not entered any data from the website, then you definitely want the "Copy Device Records" option. This will copy all of the records synced in the previous steps to the website master records. Once copied, the device is now synched to the Master Records, meaning the website and any devices listed as "Paired" share the same records. If you make a change to those records from the app, or through the website, the changes will happen on all device. 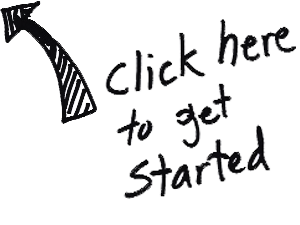 Keep in mind however that while using the website for data entry, when you select the Save button on the entry screen, the changes are saved. When you open a device application, you will not see those changes until you select the Sync button. (The Sync button always synchronizes the entire current year you have selected) Every time you enter an airport identifier, a timestamp is recorded when you made the entry. That is how each device determines which record to use. The most recently entered airport identifier is saved in the master records during any sychronization event. If you have a device that is set with the wrong date & time, it is possible for this mechanism to fail. Now with everything copied, you can select devices again from your profile screen and you should see that the paired device has moved from the "associated" list to the "paired" list. Below is an example of how that should look. If you decide to remove a device from being paired... say you sold your device to someone else, you can simply select the "Unpair device" as show in the image below and the device will no longer make changes to the master records. The device will be independent again. I hope this rather long tutorial answers most of your questions. If you are still having trouble please contact support@avPerDiem.com.